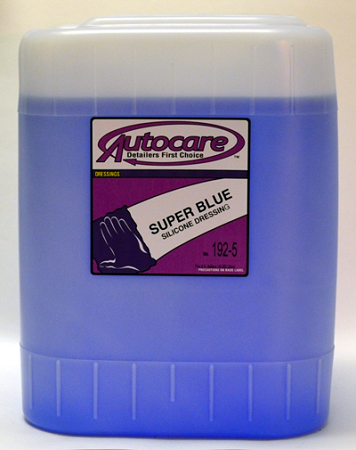 SUPER BLUE is an all-purpose solvent base dressing for hard surface material such as automobile vinyl and plastic trim, landau tops and tires. Long lasting and waterproof. Blue in color with a pleasant fruity fragrance. Available in Gallon, 5 Gallon and 55 Gallon. NOTE TO RESIDENTS OF CA, CT, DE, DC, IL, MD, ME, MI, NJ, NH, NY, OH, PA, RI, UT, MA, IN, VT, WI and Northern VA. This product doesn't meet CARB/OTC standards.